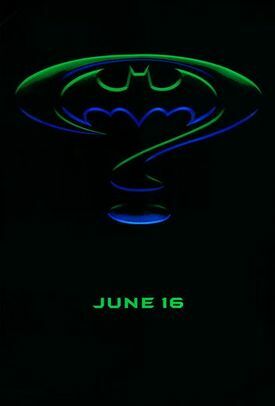 Batman Forever theatrical movie poster. Former Gotham district attorney Harvey Dent, a.k.a. Two-Face, blames Batman for not saving him when he was splashed in the face with acid. 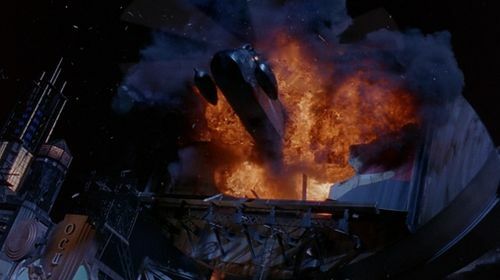 After Batman foils one of Two-Face's robberies the villain swears vengeance on him. Meanwhile, Wayne Industries researcher Edward Nygma loses his mind after Bruce Wayne turns down his idea for interactive television, and becomes the Riddler. 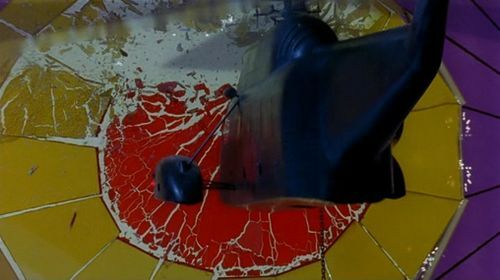 Used by Two-Face in the bank robbery at the beginning. 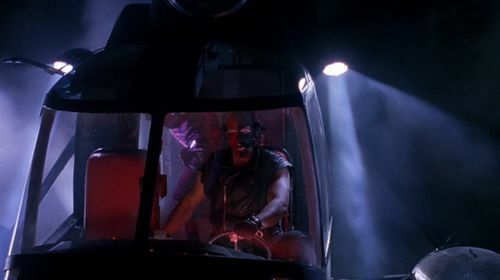 It flies through a large neon billboard and later crashes into Gotham's version of the Statue of Liberty. 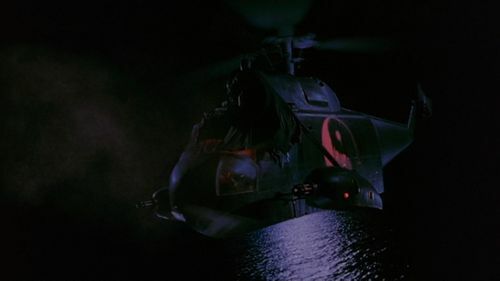 Similar to the Joker's Gazelle in the first film, long shots are done using special effects (a combination of CGI and models in this case) with closeups involving the actors using a mockup/full size helicopter. This page was last modified on 21 March 2011, at 17:10.